Don’t be left behind! Head out to Votes for Women centennial celebrations in 2020 and 2017! on Vimeo. Halloween program at Suffrage Wagon Cafe on Vimeo. Welcome to the Suffrage Wagon Cafe. As a partner in the Inez Milholland Centennial of her death in 1916, we continue in our special coverage about how we’ve been writing Inez into American history. Inez is America’s suffrage martyr. She collapsed on October 25, 1916 when on a lecture tour of the West to appeal to women voters there to take part in the extraordinary effort to add the 19th Amendment to the U.S. Constitution. Inez died on November 25, 1916, a special day for remembering. Inez was just thirty years old. 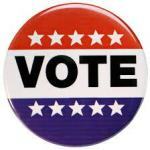 We’ve been urging everyone to watch the video, “Choose It and Use It,” a music video reminding us that when we vote, we’re also remembering Inez Milholland. In our special Suffrage Wagon Cafe program for Halloween, we’re touching into the address Inez gave to the men running Essex County in upstate New York where Inez grew up and where she is buried today. In 1911, Inez gave them a piece of her mind about women being invisible and without representation. Today in 2016, Essex County in upstate New York is run only by men in elected positions. Here is what Inez told them more than 100 years ago. Gentleman, you are about to elect a representative to the Assembly of the State of New York. The man you elect will be sent to the legislature, to look after the interests of the people in Essex County. He is there to protect your rights, to voice your needs, and to safeguard your liberties…. He must do the right thing by you, no matter what the result to himself as a politician. You have had representatives in the past who did not play fair with you. On the contrary, they left behind your interests, needs, and desires to look after themselves. You all know that a man will promise anything while he is running for office in order to get your support, your vote, and once he’s elected, more often than not, he often fails to keep those promises. You have all been fooled that way, time and time again. Unless—and here is your only protection — unless the man you elect to office is a Just man. If he is fundamentally Just, he will deal fairly with you, whether or not he has hopes or desires for reelection. If he is fundamentally just, he will stand up for those measures in the legislature, no matter what party bosses may say, and no matter how much his stand may affect his chances of personal advancement. If he is fundamentally just, he will protect the weak. He will not only look after the interests of those who help him, but he will look after the interests of his constituents, who can give him nothing in return. But how are you going to tell whether or not your candidate for office believes in justice? Here is one way. …..a man who protects the interests of those who can give him nothing in return, is a just man. Women have the same interests as men: in clean government, good roads, and sound education. Yet they have nothing whatever to say about the laws. All these questions are handled by a legislature, which pays no attention to the wants, the needs or the voice of women… If women should break any one of these laws, which they have no voice in making, they would be fined, imprisoned, or put to death –exactly the same as men. Margaret Bartley is a former elected official in Essex County, New York who is determined to remember Inez Milholland. She reminds us that Inez took her case for women’s rights to the Essex County Republican Convention in Lake Placid where she received the unanimous support of the Republican Party. Two years later, she led a parade of 8,000 women marchers in Washington DC, during President Woodrow Wilson’s inauguration. “Spirit of 1776” suffrage storytelling explores equality on Vimeo. Marguerite Kearns is the host at Suffrage Wagon Cafe. Smell something good? Find out what’s going on at Suffrage Wagon Cooking School in the next special program at Suffrage Wagon Cafe. We’re in our second year and you can visit some of our videos. Women’s suffrage storytelling is expanded with audio podcasts! Goal of 200 storytelling videos about women’s suffrage movement makes learning American history easy for young people on Vimeo. (1.) “Trouble Brewing in Seneca Falls.” Podcast #1. Podcast #2. Podcast #3. Podcast #4. Podcast #5. Podcast #6. Podcast #7. (2.) “Playing Politics with the President.” Podcast #1. Podcast #2. Podcast #3. Podcast #4. Podcast #5. Podcast #6. Podcast #7. Podcast #8. Podcast #9. (3.) “The Night of Terror.” Podcast #1. Podcast #2. Podcast #3. Podcast #4. Podcast #5. Podcast #6. Podcast #7. Podcast #8. Videos keep people coming back to see what’s new on Suffrage Wagon News Channel. Highlights of some of the personal videos about Edna Kearns and family. We’re adding new videos often. AND TAKE NOTE OF OUR EXPANDING COLLECTION OF AUDIO PODCASTS! Follow Suffrage Wagon News Channel on Facebook and Twitter. Quarterly newsletters just by signing up. Suffrage Wagon News Channel has video platforms on Vimeo and YouTube. Comment on the Suffrage Wagon blog. Meet your friends at the Suffrage Wagon Cafe. Follow SuffrageCentennials.com for news and views about upcoming women’s suffrage centennial events and celebrations. “Choose it and Use it” is a video reminding us of how the past is linked to what we do today and its impact on the future. Celebrate women’s freedom to vote. Honor the grandmothers in the kitchen! Honor the grandmothers in the kitchen! on Vimeo. The year 2016 is an election year –more reason than ever to remember the grandmothers and great grandmothers who spent more than 72 years working to win voting rights for women. When you visit Suffrage Wagon Cooking School you’ll see a representative sampling of the cooking demonstrations during 2015, plus an archive. Chef Marguerite is your host. Follow Suffrage Wagon News Channel on Facebook and Twitter. Quarterly newsletters just by signing up. Suffrage Wagon News Channel has a video platform on Vimeo. Suffrage Wagon Cafe is closed during January 2016. Programming resumes in February. Your host: Marguerite Kearns. SuffrageCentennials.com for trends, news and views about upcoming suffrage centennials. 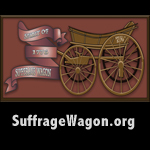 Suffrage Wagon is a partner in the Inez Milholland Centennial observance in 2016. 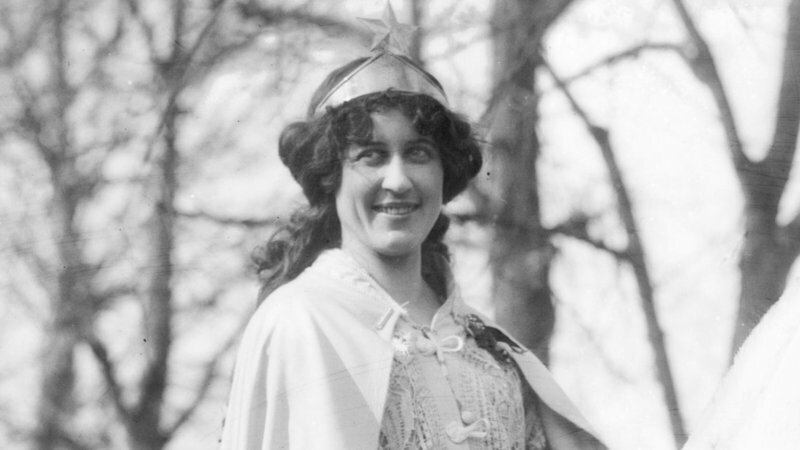 Inez Milholland is America’s suffrage martyr. Birthday celebration on December 25th: Edna Kearns & Martha Wright! Happy Birthday, Edna Buckman Kearns, suffrage activist! on Vimeo. Happy birthday Edna Kearns and Martha Wright on December 25th. Tara Bloyd, Edna’s great granddaughter, signed in support of funding for the New York State women’s suffrage centennial commission. See letter sent to NYS Governor Andrew Cuomo to urge inclusion of the suffrage centennial commission in the upcoming state budget. The “Spirit of 1776” suffrage wagon used by Edna Kearns in the New York State suffrage organizing campaign is part of our 2015 “Ask Santa” effort. Follow Suffrage Wagon News Channel on Facebook and Twitter. Quarterly newsletters just by signing up. Suffrage Wagon News Channel has video platform on Vimeo. In your free time, meet friends at the Suffrage Wagon Cafe. SuffrageCentennials.com for trends, news and views about upcoming suffrage centennials. Help us celebrate a major media campaign defining 2015. We’ve been spreading the word about the ongoing effort to support the New York State Museum in putting the “Spirit of 1776” suffrage Wagon on permanent exhibit. We were thrilled when Newsday (Long Island, NY) published a two-page spread in June 2015 about the campaign. The effort to support the NYS Museum’s permanent exhibition of the “Spirit of 1776” wagon continues with the video celebrating suffrage activist Edna Kearns’ birthday on December 25th. 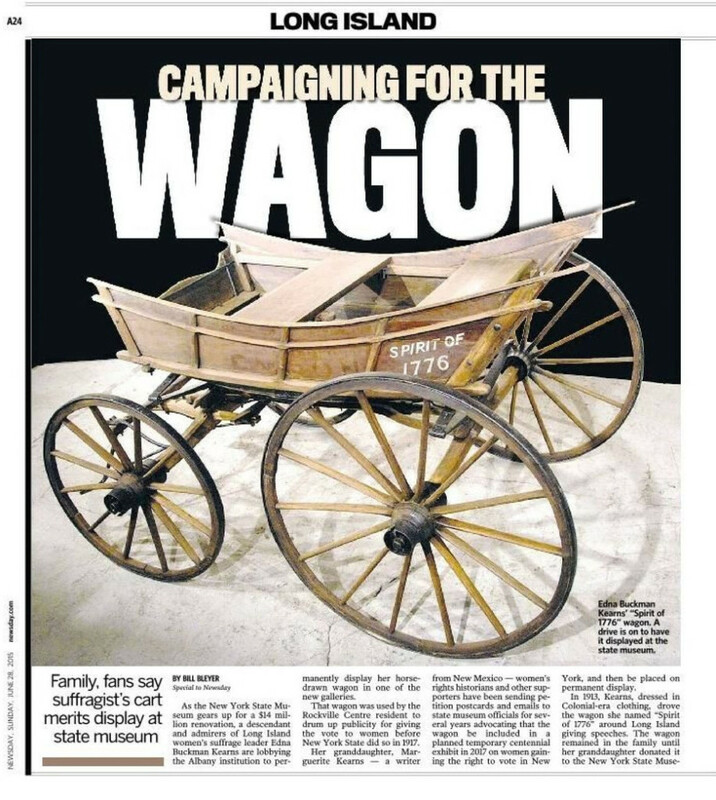 Support for the permanent wagon exhibit is part of the “Spirit of 1776” media campaign for 2015. For more information about the “Spirit of 1776” campaign wagon used by Edna Kearns in the New York State suffrage campaign. In 2016 we will be remembering the first time the “Spirit of 1776” wagon was exhibited in New York State in Kingston, NY back in 1986, almost thirty years ago. We continue gathering support for the permanent exhibit of the “Spirit of 1776” wagon. Plan to visit the New York State Museum when the wagon is on exhibit during 2017 as part of the state’s suffrage centennial observance. And support the wagon’s permanent exhibit. Join us! The stories of Edna Buckman Kearns and friends are featured on the “Spirit of 1776” suffrage storytelling. Follow Suffrage Wagon News Channel on Facebook and Twitter. Quarterly newsletters just by signing up. Suffrage Wagon News Channel has video platform on Vimeo. In your free time, meet friends at the Suffrage Wagon Cafe. Your host: Marguerite Kearns. Episode #10 of Suffrage Storytelling: Bess cautions Edna about falling in love! Episode #10 of “Spirit of 1776” Suffrage Storytelling! on Vimeo. Over 100 years ago young women questioned marriage and whether or not it was in their best interest. Back then, women were property, not individuals with the rights of citizenship. Women were expected to pay taxes and accept their second-class citizenship. “No way,” said Bess, Edna’s best friend. Bess decided that she didn’t want to get married if it meant giving up the freedom to realize her potential rather than be evaluated on how well she cooked and cared for children. 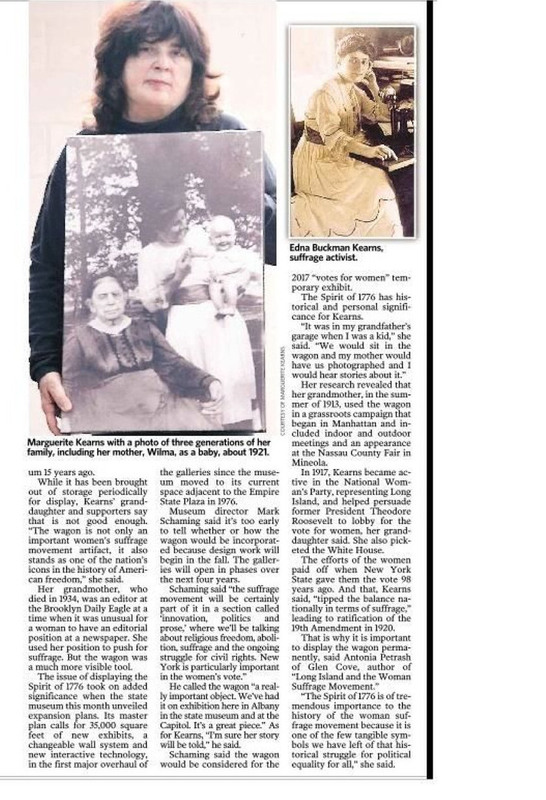 100 YEARS AGO YOUNG WOMEN LOOKED FOR WAYS TO COMBINE FAMILY AND FREEDOM TOO! Edna May Buckman wanted freedom and family too. She believed that partnership could be linked to equality, but she had to find the right man who would be committed to this vision. When Edna started seeing Wilmer Kearns, Bess stepped in. Episode #10 of the “Spirit of 1776” suffrage storytelling highlights Edna’s search to find the right partner. In Episode #11, Edna invites Wilmer to meet her family. But will Wilmer make a good impression? Already we’ve discovered that Edna loves Wilmer’s storytelling, but she hates his pipe and cigar. Wilmer is figuring out whether or not Edna is worth changing his lifestyle. But he needs advice. In New York City where Wilmer is working at his first job, he meets Aunt Sarah. She isn’t his biological aunt. But Aunt Sarah loves young people and giving advice. Enjoy Episode #10, and stay tuned for Episode #11 in this first season of Suffrage Storytelling.